The very same all-sufficient sacrifice of Jesus Christ that enabled God to save us is sufficient to keep us saved for all eternity. Does sin have the power to set at naught the saving power of God? Is it possible for the power of sin to be more powerful than the blood of Jesus, the Lamb of God? The LORD God has effectively dealt with every sin that has ever been committed (Heb. 9:11-12; 10:10-14). 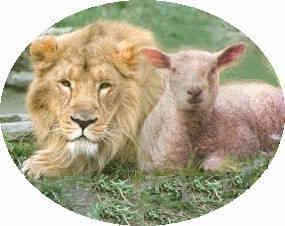 The Son of God is “the Lamb of God who takes away the sin of the world” (John 1:29). He was not just any person dying on a cross, but the sinless Son of God who was giving Himself as a substitutionary sacrifice for all who would call upon His name. When Jesus died on the cross, all of our sins were imputed to Him. They were charged to His account, like putting money in the bank. God treated Christ as though He had actually committed those sins (2 Cor. 5:21; 1 Jn. 3:5; Rom. 4:25; 1 Pet. 2:22, 24). The result of the death of Christ was that all those sins have been paid for in full and God no longer holds them against us, because we have trusted Christ as our Savior. That is not all; the demands of God’s holy law have been fully met by Christ in His death once for all. Those who believe will never have their sins imputed against them again (Ps. 32:1-2; Rom. 4:1-8). As far as their records are concerned, they share the perfect righteousness of Jesus Christ. The present condition of lost sinners is not because of their sin, but because of their unbelief. The Bible says, “For God so loved the world that He gave His only begotten Son, that whoever believes in Him shall not perish, but have eternal life. For God did not send the Son into the world to judge the world, but that the world might be saved through Him. He who believes in Him is not judged; he who does not believe has been judged already, because he has not believed in the name of the only begotten Son of God” (John 3:17-18). The blood of Jesus is sufficient to cover every person’s sin, past, present and future. The sacrifice has been made once for all. No other sacrifice can or will be made. It is all-sufficient for all sin for all mankind forever. However, no one is automatically saved by that death. The death becomes effective when the lost sinner calls on the name of Jesus putting his faith in Him to save and give everlasting life. The only condition is to believe on the saving work of Christ on the cross. All that a person has to do to be lost is nothing. To not believe is to say in effect Jesus did not die for me. To believe on Christ is in effect to declare that He is all-sufficient to cover all my sins for all eternity. The sacrifice has been paid in full. There need be no other and no more. All my sins, past, present and future are under that blood that cleanses. Judgment is already passed on all who refuse to believe on Christ as their Savior sent from God (John 3:18, 36). However, “As many as received Him, to them He gave power to become the sons of God, even to them that believe on His name” (John 1:12). “God has given us eternal life” (1 John 5:11). The problem is people love spiritual darkness rather than the “Light” of Jesus. Salvation is received through believing in the finished work of Christ on the cross. People who reject the saving gospel of Christ are already under condemnation because they have not believed. They stand condemned. However, the believer in Christ is “not condemned,” and he “will not be condemned” (John 5:24). The person who believes on Christ has “everlasting life, and shall not come into condemnation; but is passed from death to life.” The believer has eternal spiritual life now, which is endless (Jn. 3:36). When we trust in Jesus, we have in the present time “eternal life.” No judgment will come in the future regarding eternal life. He will not be judged “because he already passed from one realm—“death”—into another—“life” (Eph. 2:1, 5). We have passed from eternal death to eternal life. Jesus described the resurrection of the lost sinner into eternal life. With the apostle Paul we can also proclaim, “There is therefore now no condemnation to those who are in Christ” (Rom. 8:1). The believer is a sinner, even though he is a redeemed sinner. The difference is that he confesses his sins and claims the forgiveness of God in Christ (1 Jn. 1:6-7). “The blood of Jesus Christ His Son cleanses us from all sin” (v. 7). The only difference between condemnation and salvation is faith in the atoning work of Jesus. Acts 4:12 says, “And there is salvation in no one else; for there is no other name under heaven that has been given among men by which we must be saved.” Jesus gives eternal life to anyone who believes on Him because He has already died for that person.